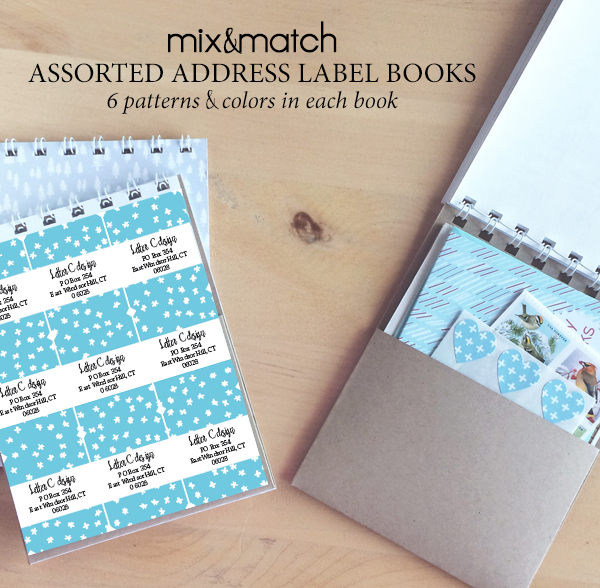 For way too long I have been thinking about adding address label books to the shop. Right now there are three assorted books that each have the choice of 3 color stories. The fact that each book gives you choice of 6 different patterns is nice, but my favorite part is the pocket in the back.The pocket is just big enough to hold 2 or 3 cards and envelopes, some stickers and stamps. I like having everything together in one place – not having to look for stamps gives me one less excuse not to send out a card.